Hello to all our friends and supporters and welcome to April! We promise, everything in this newsletter today is real. At the beginning of March, three folks from BikeWalkKC journeyed to Washington, DC for the National Bike Summit and a day on Capitol Hill visiting the KC bi-state Congressional delegation. We took the message of walking and biking to the offices of Congressmen Emanuel Cleaver, Sam Graves, and Kevin Yoder; Congresswoman Lynn Jenkins, and Senators Claire McCaskill and Roy Blunt. Oh and they also checked out some of the cool bike infrastructure in the nation’s capital. And if you want to join us to lobby folks in Jefferson City on April 11, SIGN UP HERE. We’ll be carpooling. Check out our newly relaunched Bike Month website. This is your stop to see all the planned events regionally and also submit your events. Again, we have partnered with the Mid-America Regional Council (MARC) to present this event locally. Tour de Bier 2016 is May 15! Volunteer! REGISTER BY THE END OF THE DAY FOR THE EARLY BIRD RATE! The Tour de Bier KC, is a point to point bicycle tour of Kansas City’s breweries, historic brewing landmarks and other breweriana and is lauded as the “first of its kind in the region.” Many of you know us specifically for this event and it continues to be one of our best fundraisers. This year’s ride will be on May 15 and will take a new route, which you won’t want to miss. Learn more and register here. Sign up to volunteer here. APRIL 1ST (TODAY) IS THE LAST DAY TO GET THE EARLY BIRD REGISTRATION RATE. DON’T MISS OUT! May 1st is the last day for general signups. Save the Date for New Belgium Clips– June 9th, 2016– Plus Sign Up to Volunteer! New Belgium Clips returns to KC on June 9th to celebrate an evening of craft beer and short films under the stars. Clips is one of our most popular volunteer events, so hurry up and claim your spot! All volunteers get dinner, beer, a New Belgium t-shirt, and a super fun evening. New this year: volunteer sign-up is happening directly with New Belgium, so it will be a little different than in the past. All volunteer jobs are first-come, first-serve – so be sure to sign up right away. If you a current TIPS certification to serve alcohol, please look for the jobs labeled with TIPS. Sign up to volunteer for Clips today! Do you remember spending childhood summers biking around your hometown? Exploring the neighborhood? Meeting friends? Getting some great exercise? BikeWalkKC is working to make sure as many kids as possible have access to bikes this summer. Our Earn-a-Bike program provides kids with their very own bike, as well as the bike repair skills for life-long riding. We recently met with a group of medical students at the Kansas City University of Medicine and Biosciences who participate in Score 1 for Health, a program that provides health screenings and nutritional counseling to 13,000 students and families in urban core elementary schools. The KCU students learned about BikeWalkKC’s work to make biking, walking, and physical activity a part of daily life. Many of our school-based programs are available in the same schools where Score 1 for Health is providing health and nutrition services. 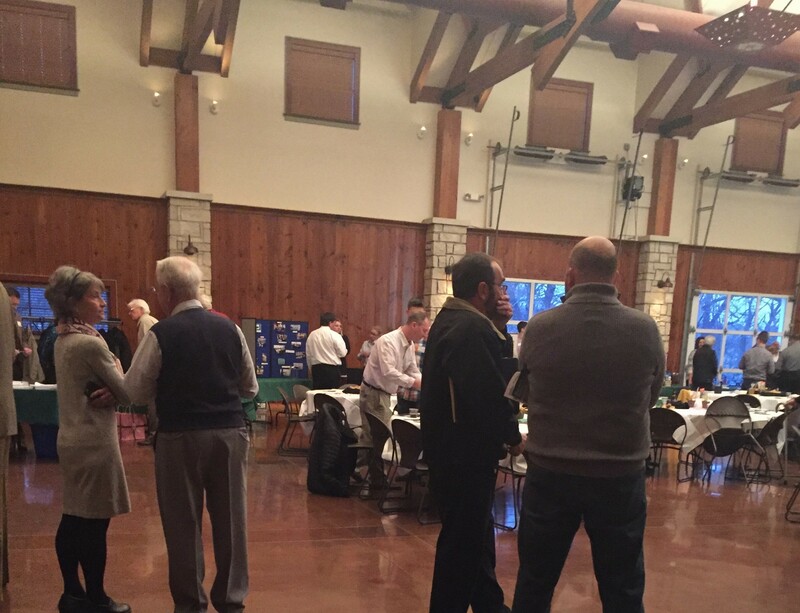 The City of Leawood, in coordination with the Mid-America Regional Council (MARC) is hosting a series of public meetings on the 135th Street Community Implementation Plan, one on April 20th and the other on April 28th, from 6-8pm at The Lodge at Ironwoods Park. This summer Buttonwood Art Space in Union Hill is presenting “The Art of Human Movement” – a special art show showcasing bicycling, walking, and all other forms of human movement and human-powered transportation. Proceeds will benefit BikeWalkKC’s work to make Kansas City a better place to walk and bike. Currently, we have a call out for artists and sponsors. Learn more about how you can participate in this fundraiser. Women Bike KC is more than just the KC Women’s Bike Summit. We’ve revamped our website and we are adding more events, in addition to this year’s Summit, which will be held on September 10th. In fact, you can join us for a Women’s-Only Confident City Cycling on Tuesdays May 17th, 24th and 31st at our Midtown office. The class will be lead by fellow woman League Certified Instructors and will help you feel better on our busy roads and take the proper care of your bike. Also, check out our new Google Calendar for all WomenBikeKC and other women’s cycling-themed events in the KC Metro. In addition, register by today and join our friends in St. Louis for their Women’s Bike Summit on April 25th. Being a BikeWalkKC member is a wonderful way to support us, and also get some cool discounts and perks. Learn more about individual and household membership. Also, if you’re a business, we’d love to have your support as a business member. Learn more about that membership status. Get ready to ride, return and repeat! We are adding eight stations this year, including one this spring at a very special place. Plus, annual members get 60 minutes free per bike and don’t have to pay the $3 walkup fee for bike rentals. Learn more and sign up! See you here again in May! Posted in BikeWalkKC News, News and tagged newsletter.